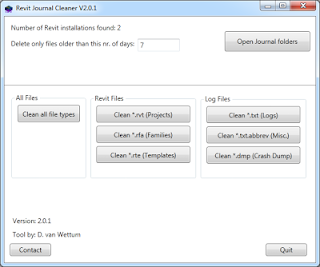 Dante van Wettum has created a free utility to clean out journal files that Revit leaves behind. 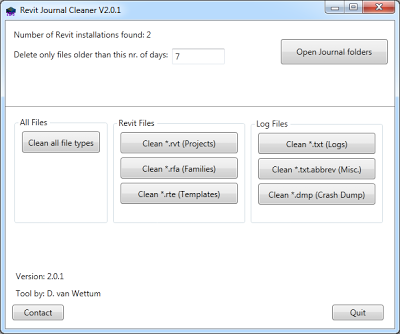 Apparently, Revit does not clean out these files itself and they can end up consuming a lot of space. This free utility may be downloaded from the 1869* Web site. The download link was to an old/different version, but i updated the url so it points to the right version now.